I go through a ton of content when I’m in the studio. I’m rarely just sitting there working in silence (although on occasion it can be nice). I have absolutely no idea how many hours of audible books, podcasts, movies, or music I’ve consumed over the last year, but I do know what I keep coming back to. Here’s a look at my top picks for 2018. 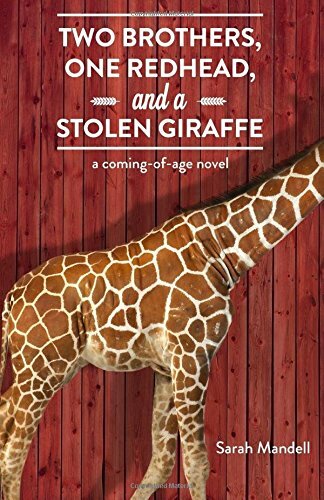 When I began writing Two Brothers, One Redhead, and a Stolen Giraffe, I had a hard time finding appropriate background music to listen to while I worked. The story takes place on a run-down farm in the middle of nowhere Nebraska, and the setting has a certain worn-in honest vibe to it, so when I went to choose some quiet heartfelt background music to inspire me while I typed, I came up almost empty handed. Ever since I was old enough to buy my own tunes, I’ve been dedicated to just about every kind of rock music there is: hard rock, indie rock, alternative, punk rock, metal, classic rock, you name it. The problem was, none of that music really fit with the story I was working on, and that was important to me. Daniel wished he had an iPod. He wished he had a cell phone too, and a newer watch that actually kept time, and maybe a warmer winter coat for those cold days in January up north. There were a lot of material things Daniel wished he had, but he didn’t dwell on that too much, like Dylan was prone to do and even beg for from time to time. “What kind of music do you listen to?” he asked, trying to operate the gadget that was the size and heft of a block of cheese. This music box of hers was ancient in technology years, and it probably belonged in a museum. He could only guess what kind of computer it would hook up too. No flat screens around here, no high speed Internet. In this year, 2007 A.D., it seemed the Larsen’s were not the type to save up their pennies for silly things such as these. What an appropriate selection. Daniel always traveled light, from foster home to foster home, and now to Josephine’s farm in the Heartland of America. It was so easy to leave his last home, just days ago. There was nothing in that spacious brick Colonial other than a few drawers full of clothes, a couple of overdue books from the library, and an alarm clock on the shared nightstand that his brother could sleep through despite its obnoxious volume. He wouldn’t miss any of it. Throughout the editing process, and the long & drawn out publishing process, I started picking up new bands that had similarities to Doug Burr and Iron & Wine, and now my entire taste in music has changed. There are still plenty of days when I break out the old favorites (and play them loud), but now I crave the heartfelt words and emotional music of Noah Gunderson, Damien Jurado, Ben Howard, and Josh Ritter. I never would have guessed writing a story could change my whole taste in music. This is the playlist I put together for Two Brothers, One Redhead, and a Stolen Giraffe. The collection of songs was a few years in the making - I made additions as I discovered new artists, and each song goes with the story in a special way. For those who’ve read the story, you’ll notice they’re in chronological order! Hope you enjoy the book and all the music that goes with it!